Enhanced Abilities: Zilius Zox has enhanced strength, agility and endurance due to his Red Power ring. Teeth: Zilius Zox possesses a set of teeth, which he can use as a weapon. Zilius Zox is a member of the same species as the deceased Green Lanterns, Galius Zed and Cundiff Cood. Like his fellow Red Lanterns, Zilius Zox was called to the red light because he possessed the capacity for great anger. 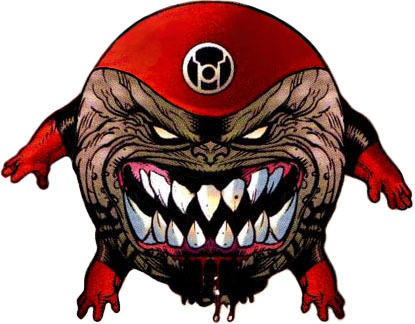 The Red Lantern was among the many red warriors who pledged allegiance to Atrocitus, swearing revenge against Sinestro and his depraved Sinestro Corps.